Great to have you here, hope you enjoy it! 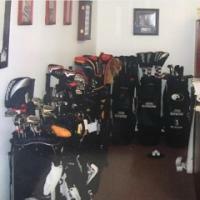 Welcome to Golfwrx Darragh, you are right, if you love golf this place is perfect for you. Pretty good hdcp. for 16 years old. Welcome aboard. Some pretty good courses down that way what is your home course? 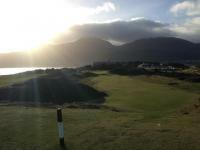 hey my home course is ballyneety prob better known as limerick county golf and country club.but play a bit of golkf in ballybunnion and lahinch.what age r u and whats your handicap.play fred daly trophy?ya u got me good i am drooling at royal county down! Welcome, you'll really enjoy this site. Yea /cheesy.gif' class='bbc_emoticon' alt=':)' /> /cheesy.gif' class='bbc_emoticon' alt=':cheesy:' /> RCD is pretty special. I play fred daly but i play for Portadown as there are only about 10 juvs at RCD. Im not as good as you im 15 (16 in Janurary) and im off 8.9 so 9. Hopw far did u get in the fred daly last year? Have you been playing in any boys events this year? ya i was 16 a few months ago.got to the munster semis lost to lahinch.bad day all round.every1 played terrible including myself.Play much golf in the south? ya played in the munster boys but mc.played in the munster U15 last year and did well.how bout u? Na i play very rarely in the South and i play only whne i am visiting relatives down South. I played in the ulster u-15s last year but i was off 14 and i played **** /russian_roulette.gif' class='bbc_emoticon' alt=':)' /> Im gona try to get down so i am able to play in a few boys events next year for experience. yea, i can get into all of the mens comps, im playin in all of the U18's and U21's, the onyl thing i ain playing in is the north, because its the same week as the leinster boys, i want to play in that instead of the north. im playin in the irish youths as well this year which will be great experience., i am on the ulster panel, so hopefully i should be on the u18 or u21 teams for the 06 season, the coaches were at the sessions with the team selectors so you never know. by any chance did you play in the irish daily mail competition at forrest little in the summer, i came third, i think i recognise your name?? ?